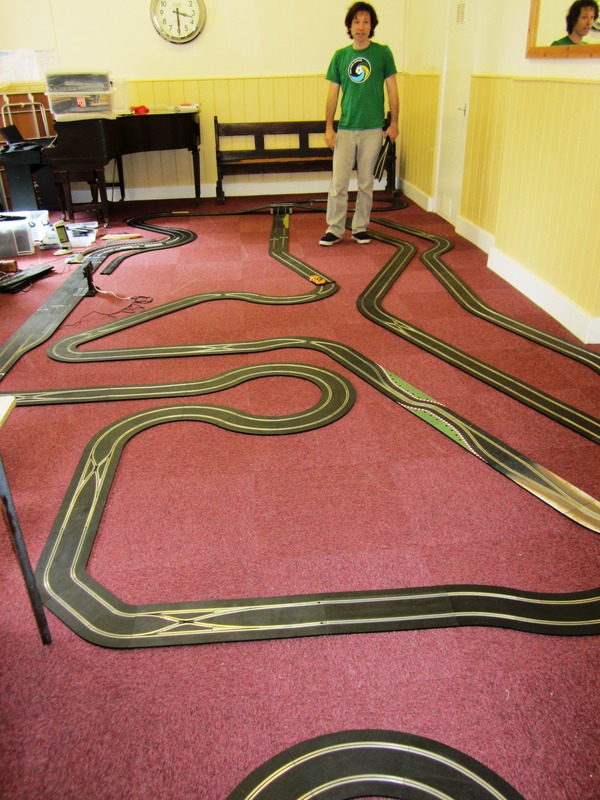 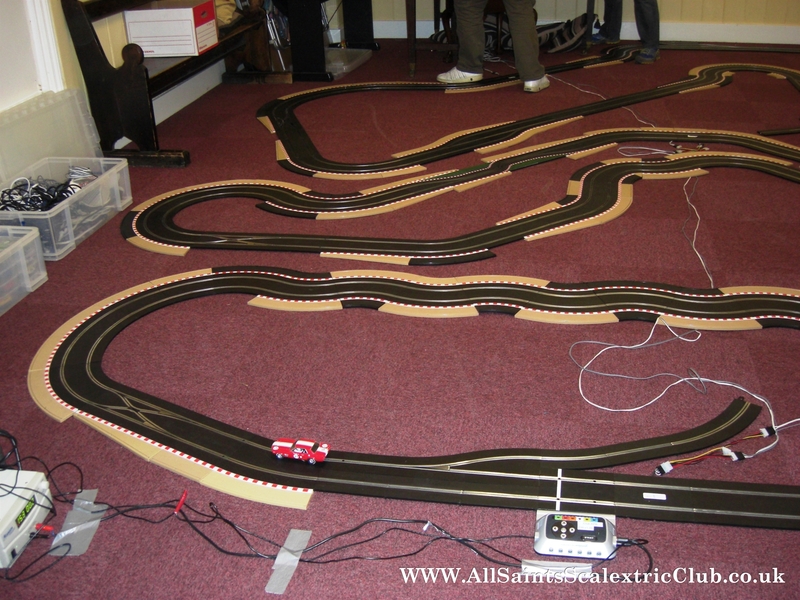 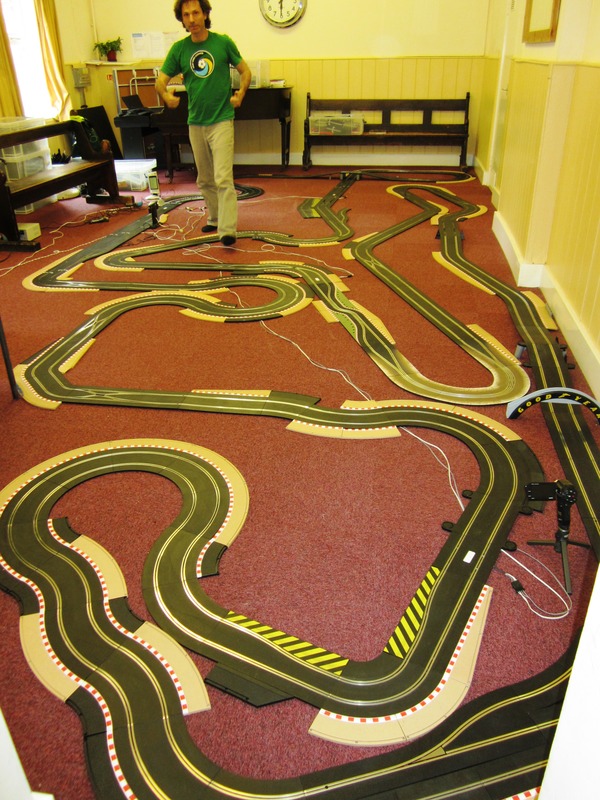 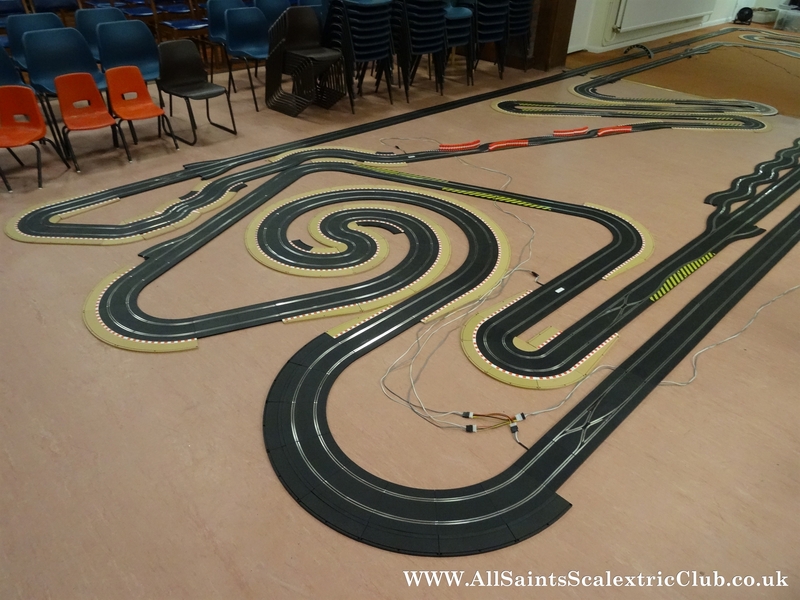 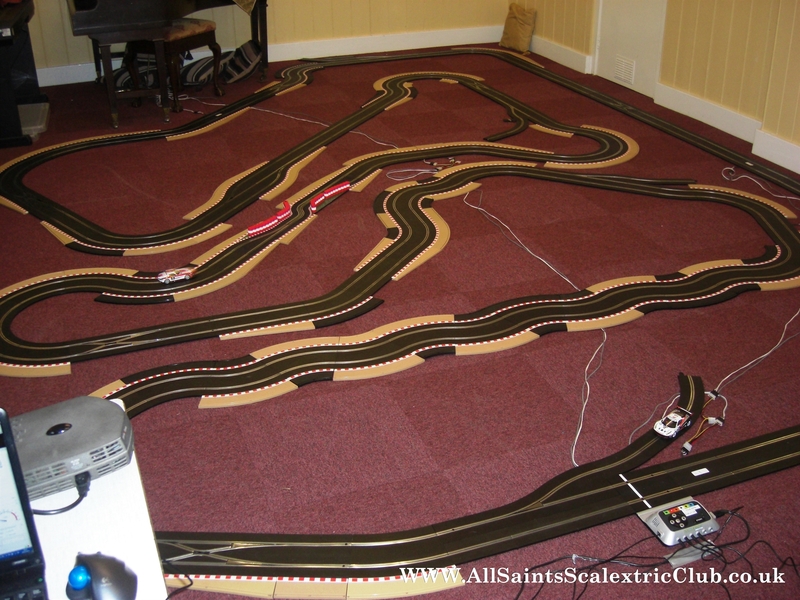 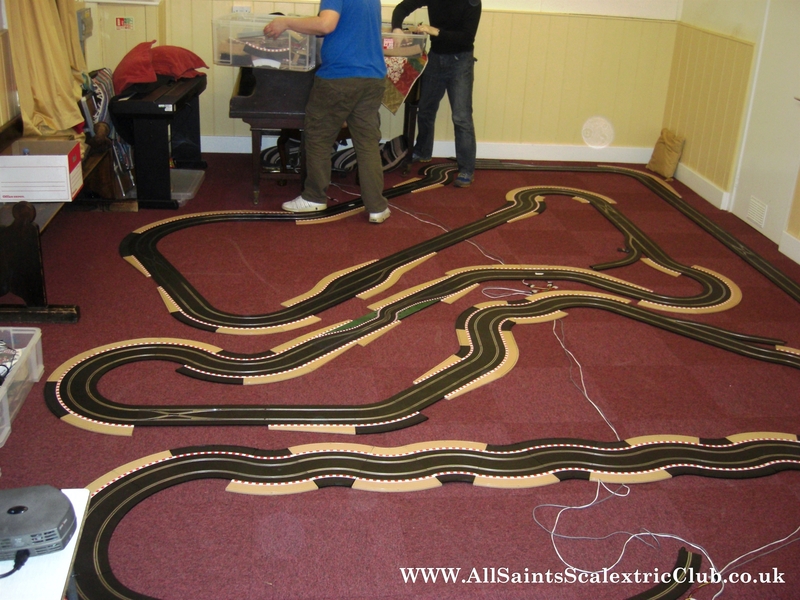 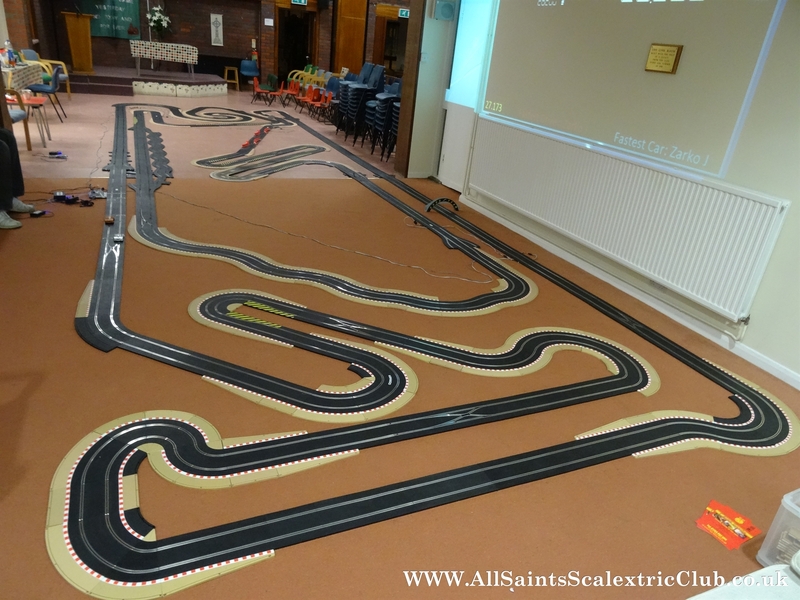 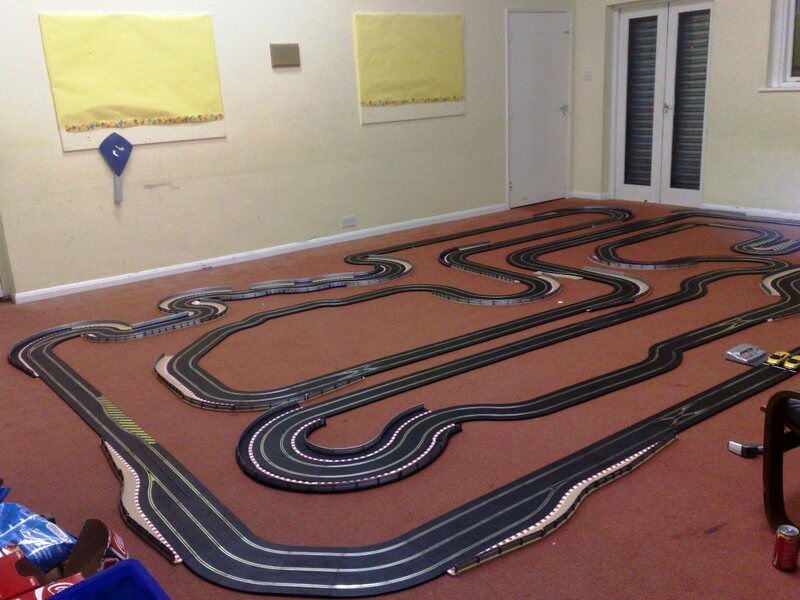 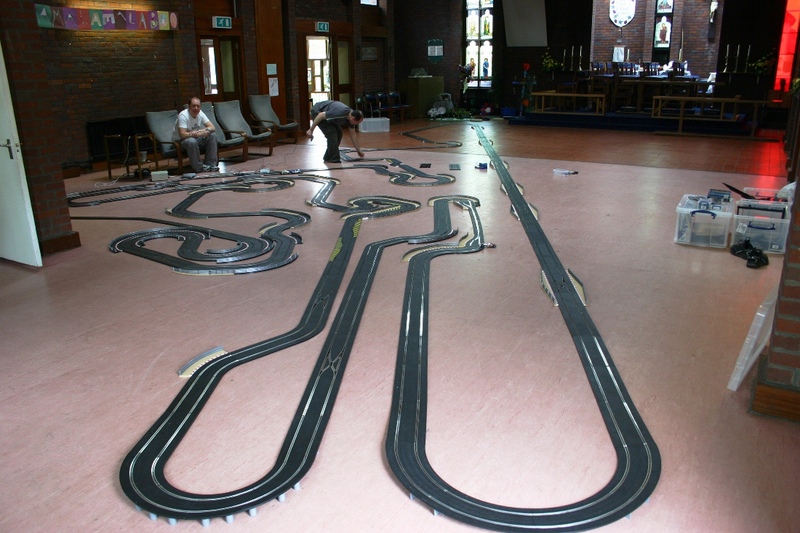 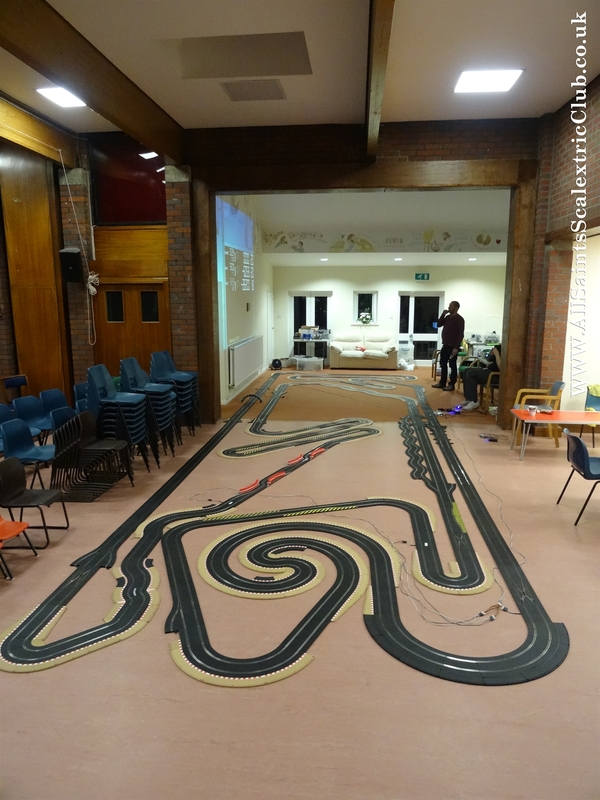 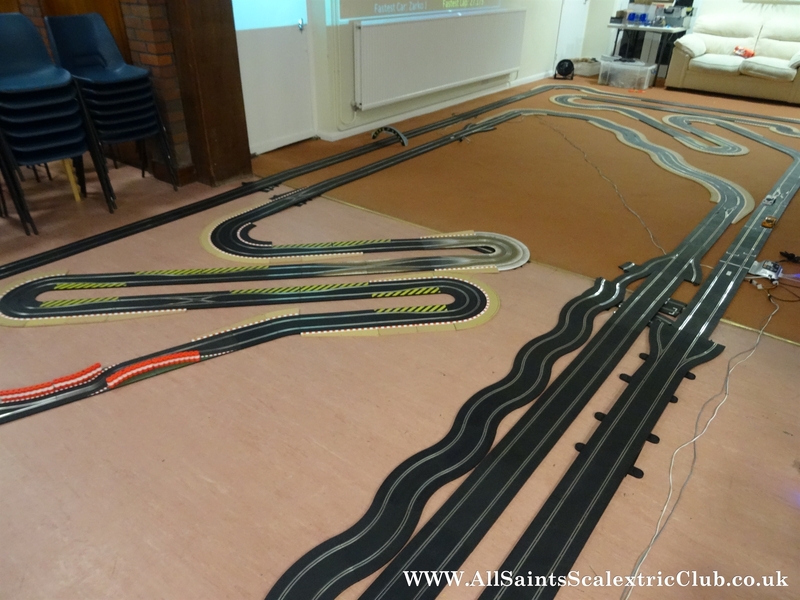 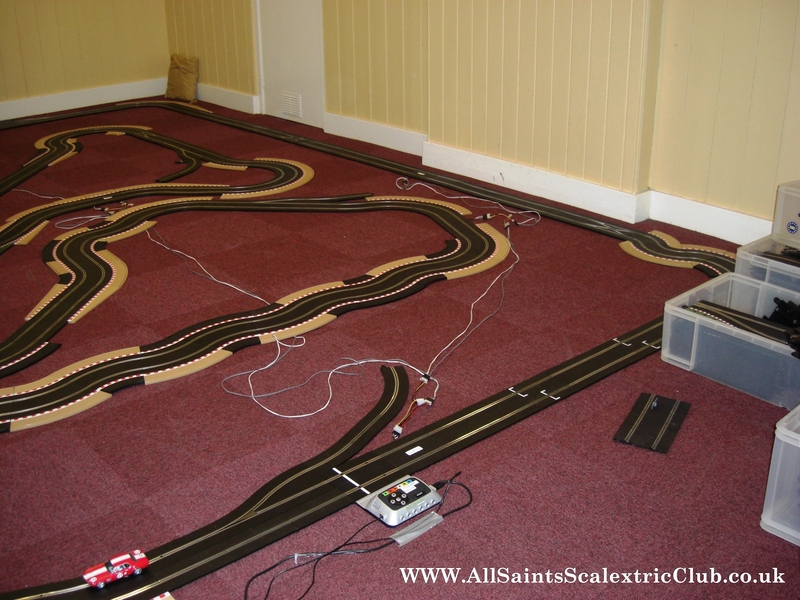 Welcome to All Saints Scalextric Club. 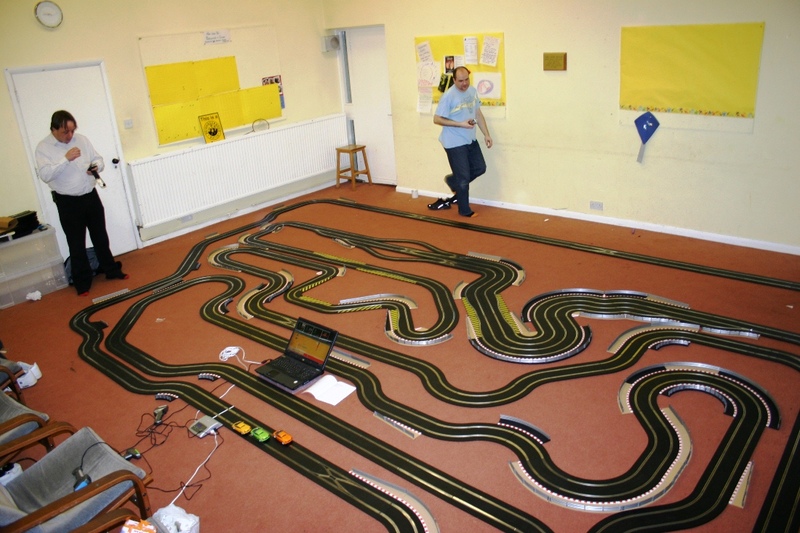 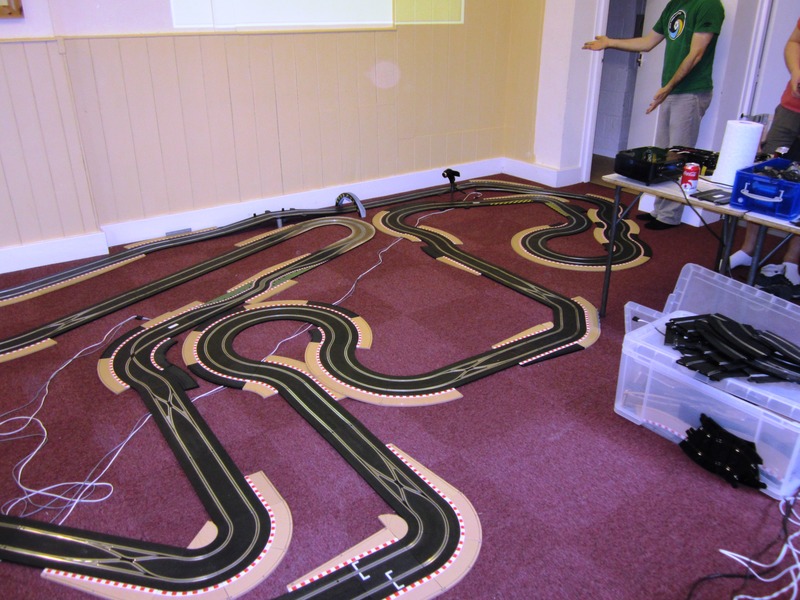 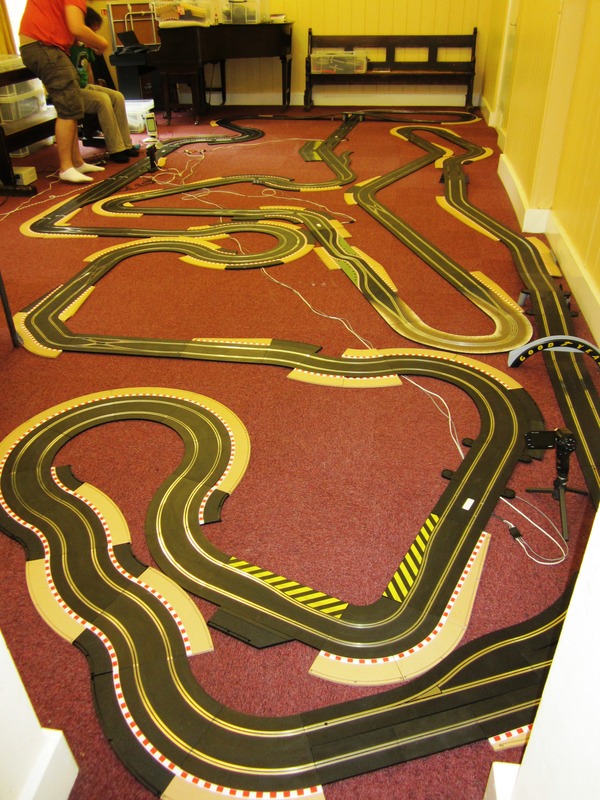 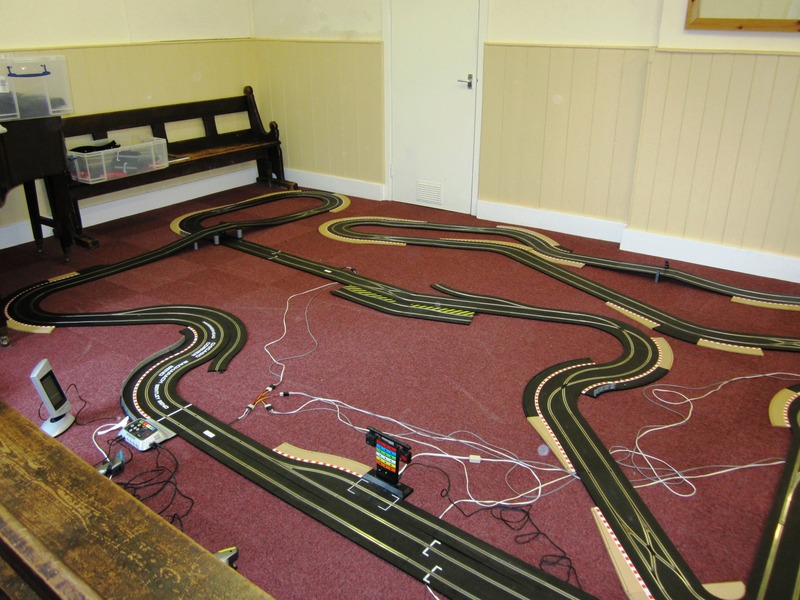 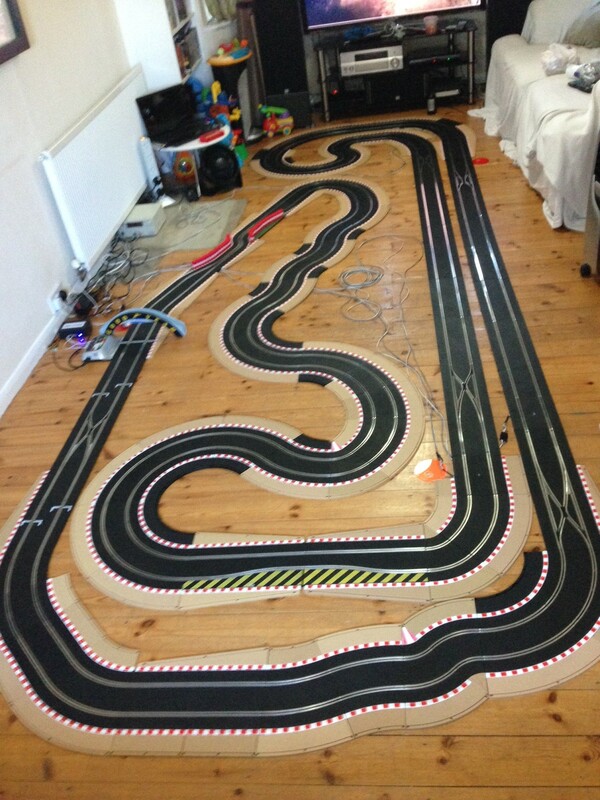 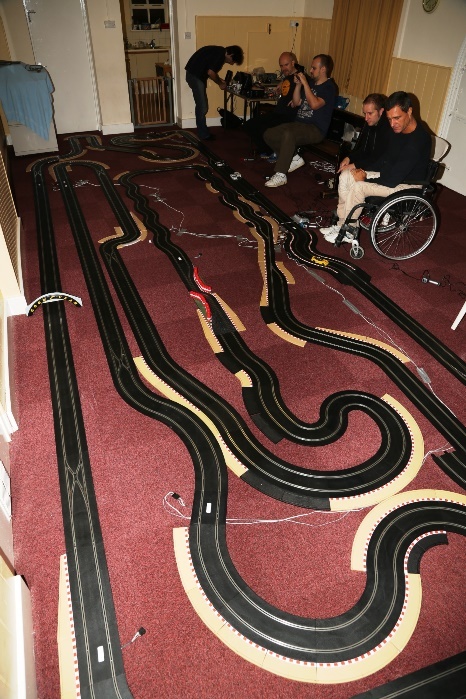 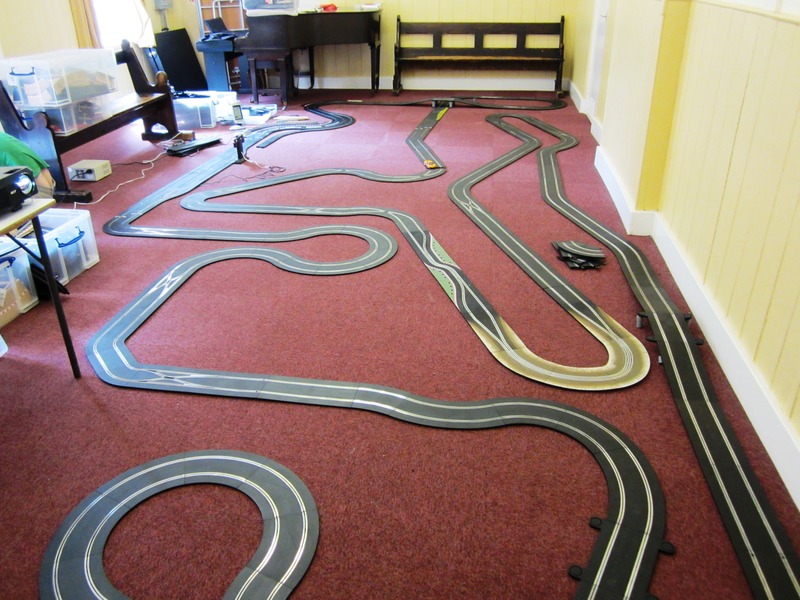 The club is a Scalextric Digital club running fully computerised race management including fuel simulation. 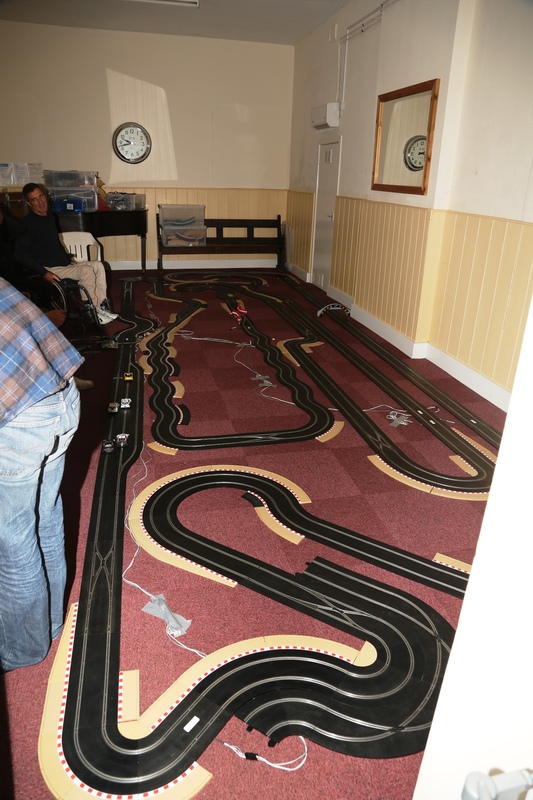 We race on the second Saturday of the Month, entry is £6 which covers the racing for the day as well as free tea and coffee. 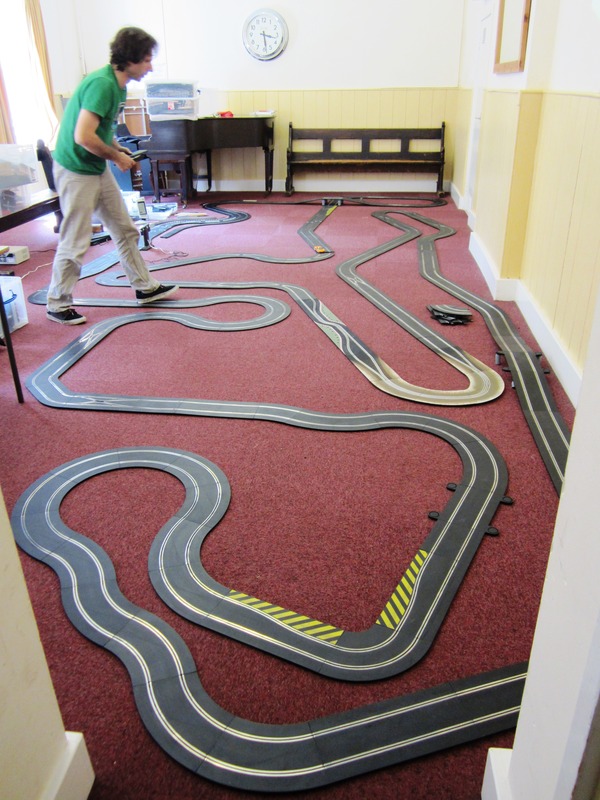 The 1st Visit to the club is free. 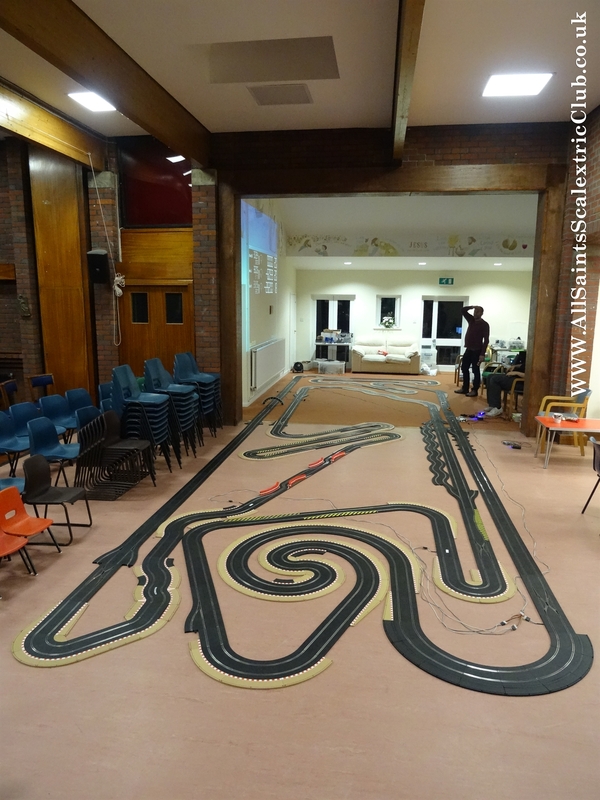 We are fortunate enough to be able to hire local church which keeps the cost of the club down, hence the name of the club. 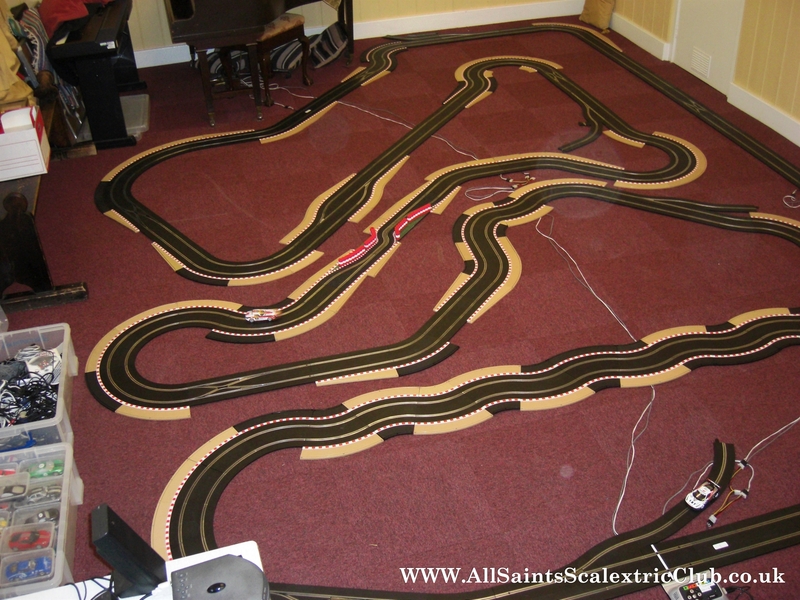 The tracks are constructed from scratch each race meeting which means there are never two tracks alike, with track ranging from 75ft to 300ft with two to four lanes. 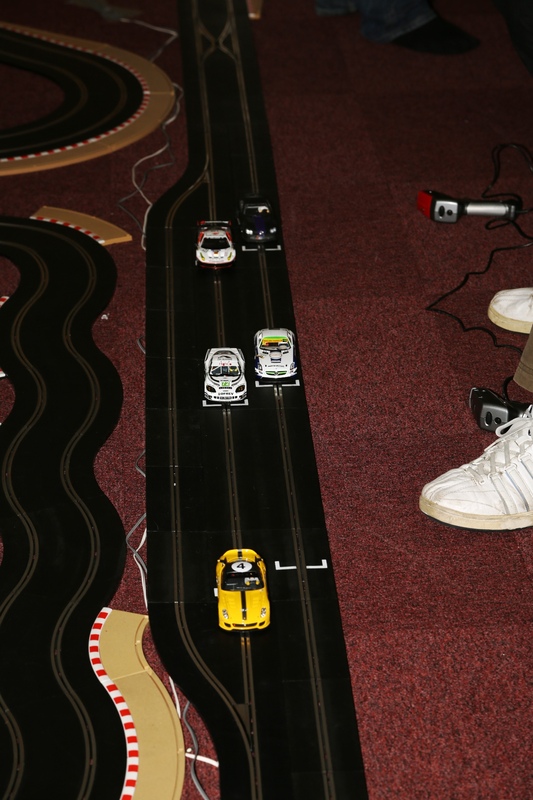 Using the latest computer controlled system we are able to hold races that include a fuel strategy causing cars to stop if they run out of fuel or run slower when the fuel is full. 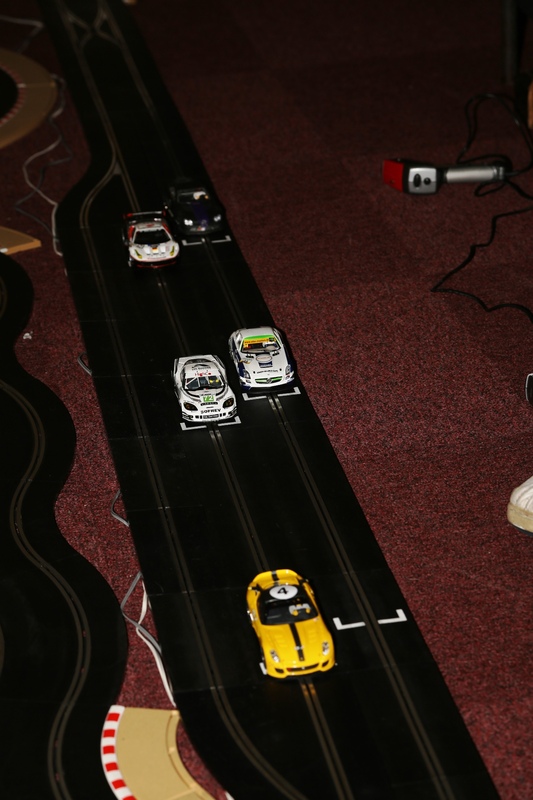 Currently the club has six classes of cars which include GT, American Muscle and DTM race cars, these are used in the two championships the club runs. 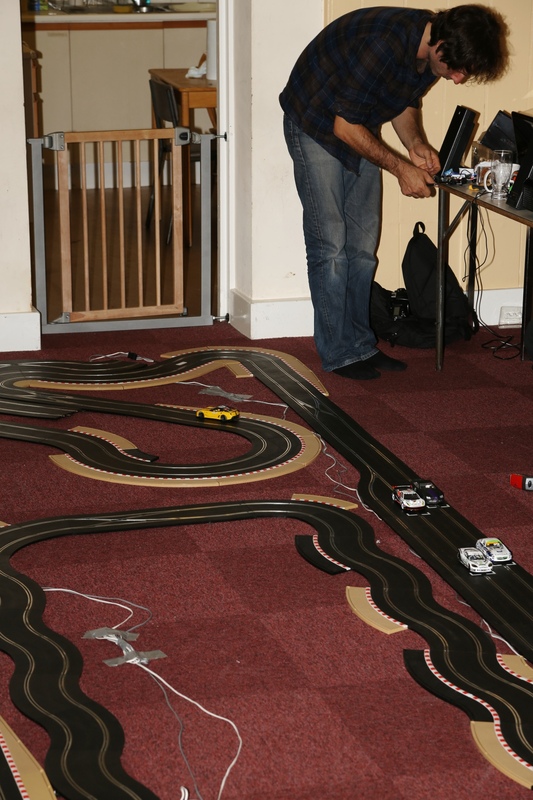 The club also has over 10 sets of club cars meaning that we can always race similar performing cars for the races between championship races. 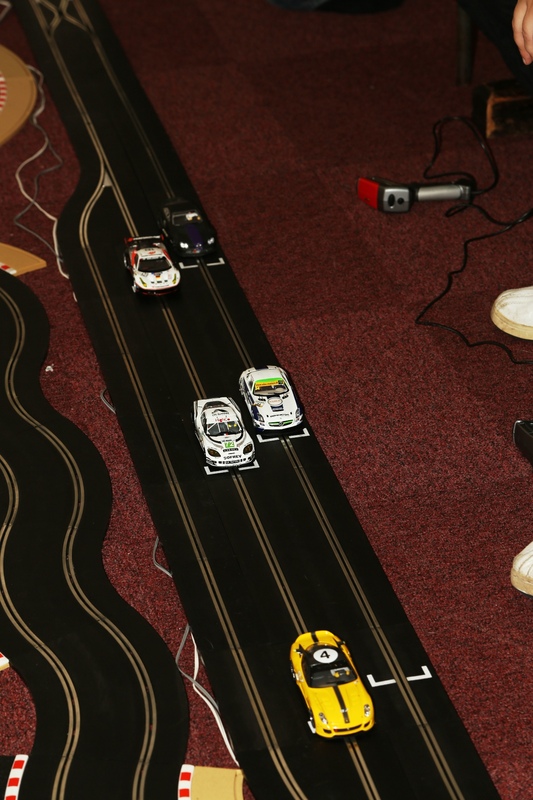 The club works closely with C&C Designs who provide custom painted cars and Vampire Slot Car Tyres for the club, We also work in partnership with Epic Racing who we occasionally share events with. 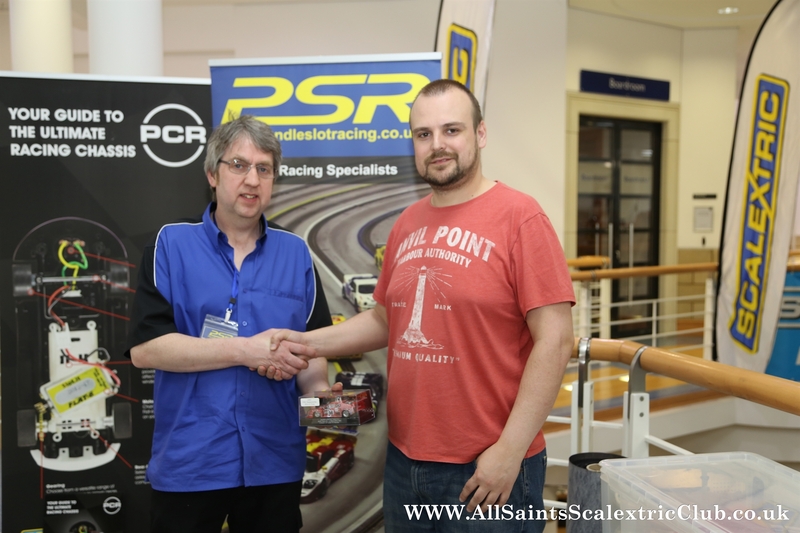 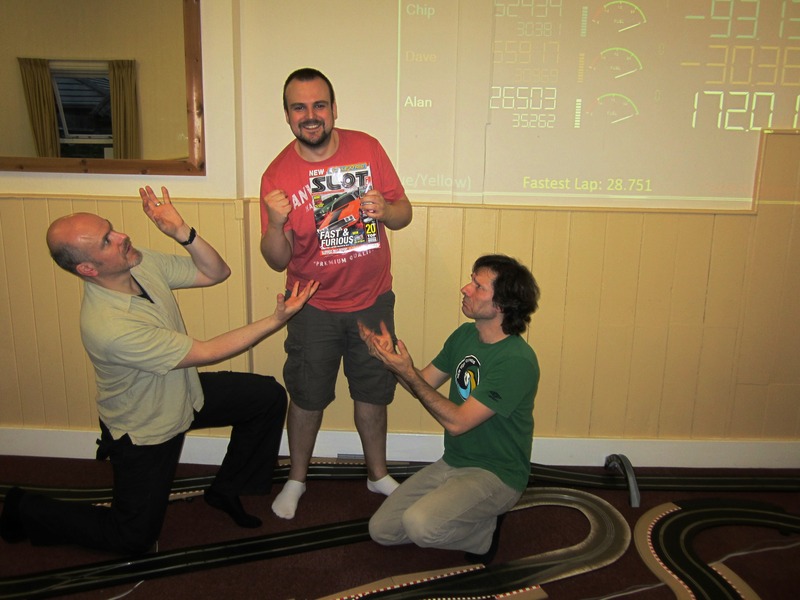 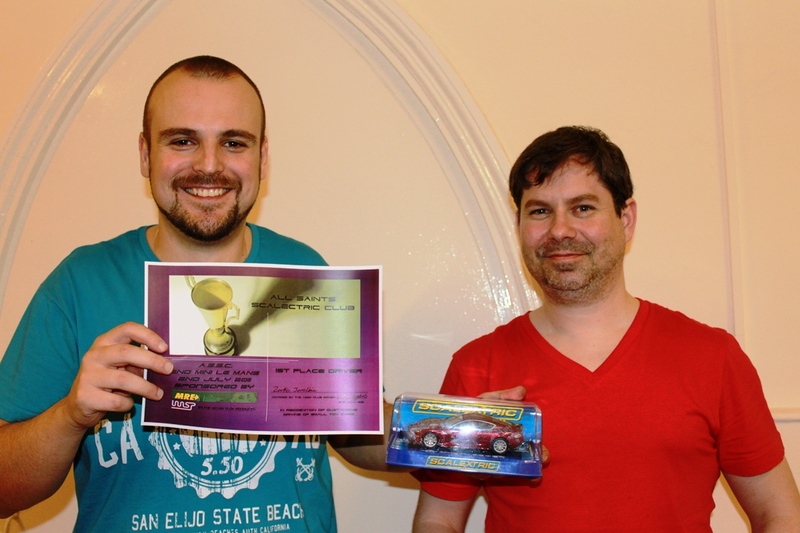 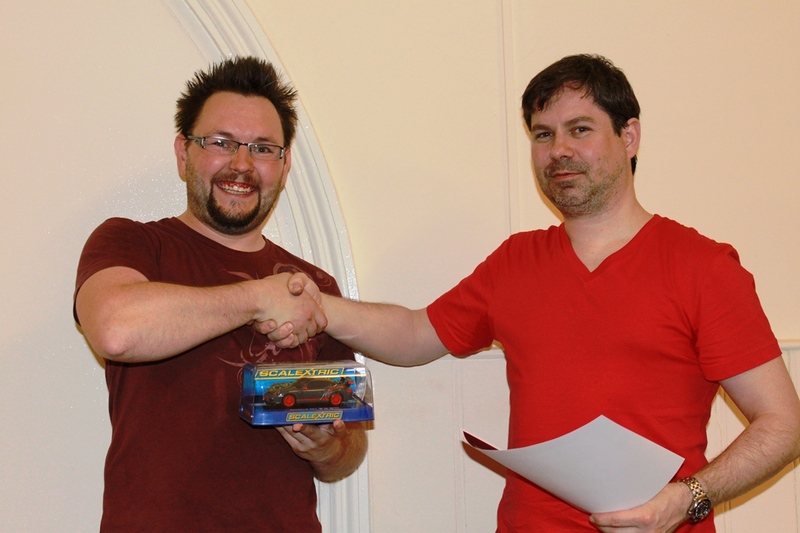 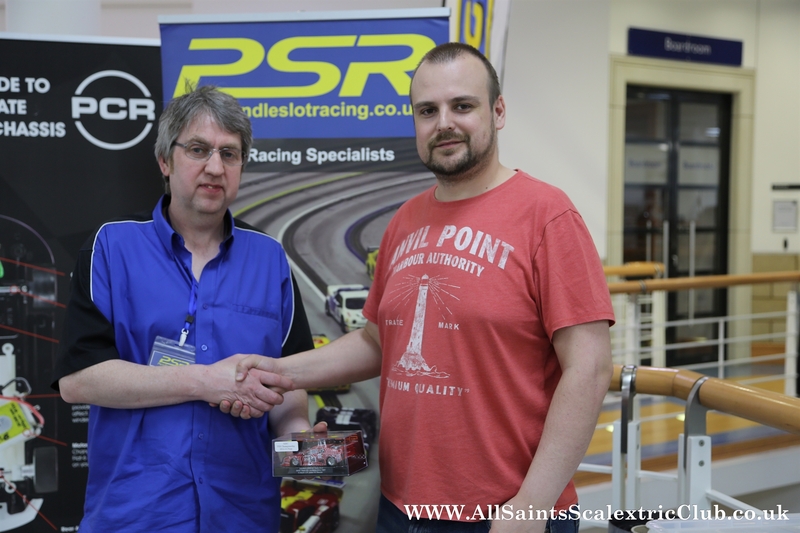 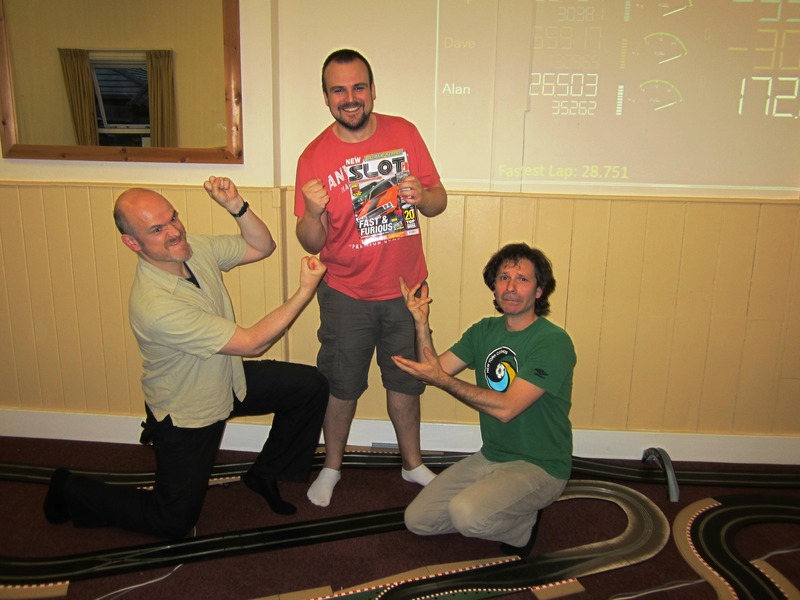 We are happy to work with Pendle Slot Racing who supply a prize for the PSR Championship winner, TruSpeed who supplied their controllers at a special club rate. 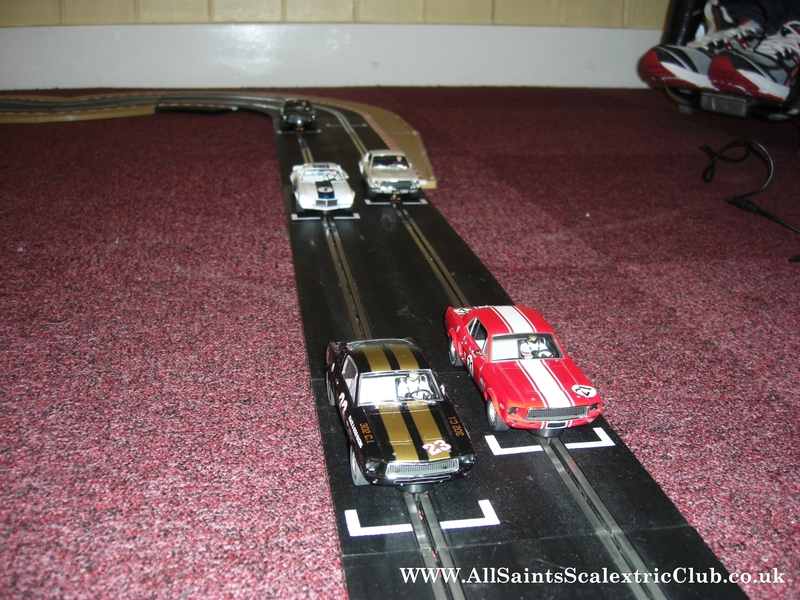 For the latest updates click on the “news” tab. 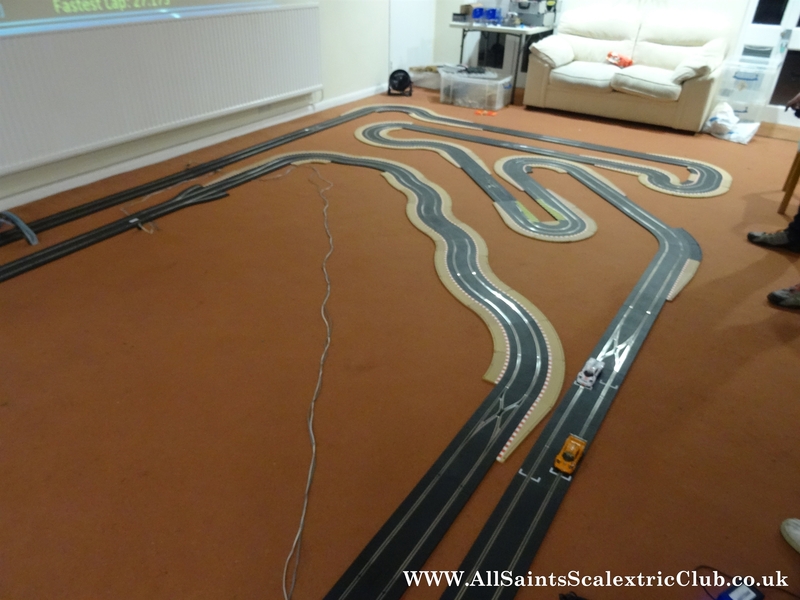 As of July the club is now running from my living room on a monthly basis and we will be racing on a standard track design for the next few months.